With the plethora of publishing possibilities available to the modern author, one can often find yourself lost in the details before you even get to passionately sharing your new creation. To help you navigate the sea of options awaiting your recently completed manuscript, we have listed 21 of the best book publishing companies in Missouri. From publishing houses devoted to delivering only works of fiction, to academic presses, Christian publishers and institutions amassing anthologies, our list has it all. Every publisher listed is open to submissions. BeachHouse Books are an imprint of Science & Humanities Press situated in Chesterfield, Missouri. With a specialization in controversial, thought-provoking literature which is often not matched to other distribution channels, BeachHouse Books does not accept unsolicited submissions, however there are open to book proposals. With novels such as Michael Lund’s tale of a challenging upbringing in “Route 66 to Vietnam”, to Don Bullis’s “Bloodville”, a factious adaptation of the horrendous murders which took place in Budville, New Mexico, this publisher certainly carries a range of strange but fascinating literature. For full submission details, visit the following guide on Science & Humanities Press, or contact them via mail for more information. With a preference for short fiction collections, BkMk Press trades alongside New Letters and is a small, but long-standing book publishing company situated in Kansas City. Established in 1971 by English professor at the University of Missouri-Kansas City, Dan Jaf and the head librarian of the Johnson Country Library in Kansas, Roy Fox, BkMk Press began as a chapbook publisher, progressing to poetry. Today they cover short fiction, creative essays and poetry collections. With the international series “Wild Bouquet” granting an intriguing translation of Harry Martinson’s nature poetry and the “Target Series” serving Midwestern writers, this publishing house has seen a great deal of success over the years. Unsolicited submissions are accepted from February 1st to June 30th each year with submission guidelines available here. Please note that novels are not accepted at all. Chalice Press is well-known as a premier publisher for progressive Christian authors. Openly accepting of any publishing resource striving to motivating people into forming a deeper, loving relationship with God, Chalice Press accepts both fiction and non-fiction works. While submissions for 2017 are closed, proposals for 2018 are welcomed. Among their most prominent works, and prime examples of their preferred style, are “Transforming Communities” by Sandhya Rani Jha which guides one through the moral aspects of justice and society, and “Unbinding the Gospel” by Martha Grace Lee, which grants a great roadmap to modern-day evangelism for both pastors and their congregations. Feel free to submit a letter of inquiry with your book proposal, full details of the required information are available on Chalice Press’s author guidelines page. As a top Missouri book publisher of fiction, creative non-fiction and works concerning art & poetry, 39 West Press operates from Kansas City, Missouri, since 1997. They accept unsolicited submissions during a limited period of each year. While submissions are open, preferred manuscripts include romance, true crime, science fiction, mystery novels, cookbooks, how-to’s and religious works aimed to inspire. The open submission period runs between 1st January and 30th March each year, during which full-length volumes of poetry are also allowed. 39 West Press has released numerous political poetry anthologies as well as controversial fiction such as “Meet the Deplorable: Infiltrating Trump America” by Harmon Leon and Pulitzer prize finalist Ted Rall. A full breakdown of submission guidelines can be found here, alternatively feel free to contact 39 West Press via the details on their contact page. As a renowned book publisher encompassing multiple imprints spanning numerous genres, Amphorae Publishing Group is found in Saint Louis, Missouri. Established in 2014 through the merger of Blank Slate Press, Walrus Publishing and Treehouse Publishing Group, Amphorae is a woman and veteran owned company. Through their three imprints a world of opportunities are opened in terms of submissions. From historical fiction to contemporary works, crime novels, mysteries & thrillers, science fiction, fantasy, even relationship titles, memoirs and humor are all accepted. In addition, their Treehouse Publishing Group imprint accepts both children’s fiction and non-fiction. With a talented range of writers such as detective & psychological crime author Terry John Malik and the highly popular steampunk wordsmith Brad R. Cook under their belt, Amphorae Publishing Group should be a definite consideration. Find full submission specifications on their site available here. Founded in 1970 by Jim Andrews and John McMeel as Universal Press Syndicate, this prime publisher now operates as Andrews McMeel Publishing. Headquartered in Kansas City, AMP Publishing publishes roughly one-hundred-and-fifty titles each year across the genres of inspirational works, humorous novels, children’s books targeted towards the middle grade level and even poetry as well. In addition, calendar submissions are also accepted. Great examples of the style preferred can be found in the children’s hit “Today I’ll Be a Unicorn” by Dana Simpson, with its bright, captivating story-board, and to show the extent of their range “The Book of Tarot” by Danielle Noel brings art, clarity and great design. If you are a children’s author or carry creative works, take a look at their submission guidelines, or head to Andrews McMeel Publishing’s contact page. Established in 1959 and based in Joplin, Missouri, College Press Publishing Company is a well-established leader in the publication of works focused towards a Christian market. Carrying numerous church and Bible college collaborations, College Press readily accepts submissions of bible-based material, Sunday school curriculum suited to the modern day, biblical commentaries and devotional books. To get a better feel for their preferred writing style and subject matter, take a look at the excellent guides entitled “Lessons in Christian Doctrine”. This series covers a range of lessons, with books suited to both youth members of the faith and their adult counterparts. They publish manuscripts written in both English and Spanish, with books such as “CÓMO ESQUIVAR A UN DRAGÓN: UNA LECTURA DEVOCIONAL DE APOCALIPSIS” by Mark E. Moor taking readers on a fascinating journey through the sinister sections of life. A selection of publishing guidelines, a proposal checklist and handy writing tips are available on their site. Founded by author Mike Smitley, with an original focus on the publishing of Christian novels, Father’s Press is a small, but rapidly growing publishing company based in Kingsville, Missouri. Contemporary and historical fiction which is written in accordance with conservative Christian values, and for the promotion of conservative Christian values, are allowed as submissions. Non-fiction is also published by Father’s Press. They are open to submission of historical works, reference guides, children’s books, works pertaining to biblical studies and theology, ethics, regional history, self-help discourses and even cookbooks. Notable works within their range are the collaboration between Marie Duquette and Tracy Lawson entitled “Life Can Be Everything You Never Expected”, a light-hearted look at finding grace, hope and humor in life, and “It Only Takes One” by Donna Riley, which shows parallels between disciples of Jesus and birds. For full details regarding their submissions, view this page, alternatively feel free to contact Father’s Press via email. Mozark Press is a small publishing company launched in 2010 and based in central Missouri, with a focus on the publication of collections of short stories, inspirational books, general works of fiction and non-fiction books. Mozark carries two notable collections, amongst a variety of other fiction books, namely the Alzheimer’s Books telling tales of those who have struggled with this common affliction of the aged, and the Shaker Books mystery series, written by a range of authors including David K. Aycock, Paula Gail Benson & Stephen Clark. While unsolicited submissions of manuscripts are not welcomed, Mozark Press is open to receiving letters of inquiry listing proposed manuscripts. From time to time, this expanding publisher does offer a call for submissions to build their future anthology titles, so keep an eye on their site. To submit your book idea, contact Mozark Press via email. Acclaim Press is situated in Morley, Missouri, and for over twenty years has been producing an expansive range spanning novels to trade publications, and even content for some of America’s most highly acclaimed historic societies. Acclaim Press is always looking for new submissions which pertain to city and county family histories, city and county pictorials, corporate history from the area, organizational discourses, military history & biographies, sporting works, pictorial guides, art books and even travel guides. As is clearly seen through the two following examples, Acclaim Press publishes a versatile, broad range of books. Author Ian Punnett does a wonderful job as a storyteller in his newly released novel “A Black Night for the Bluegrass Belle”, which covers the murder-to-trial -to-murder-to-trial narrative of a non-fiction horrific series of events. “Battletown Witch” by Gerald W. Fischer is another intriguing tale, telling the story of Leah Smock, a local legendary witch, while delving into the development of true witchcraft and the many myths it has amassed. For more information on submission standards, please view their ‘Publish My Book’ page, or email the editor. Rocking Horse Publishing was founded in 2012 and is a trade publisher based in Edgar Springs, Missouri, with a focus on the publication of anthologies and numerous genres of fiction. This publisher has published notable fiction works such as “Thunder Beneath My Feet” by Carolyn Mulford, telling the tale of a New Madrid being hit by an unexpected earthquake in 1811, and “Fields of Ghosts” by Jeff Crawford, which lays out a harrowing story of love, intrigue and the search for a wealthy lover. The company has also released acclaimed anthologies such as “Spirits of St. Louis: Missouri Ghost Stories” which brings together the works of no less than thirty collaborating authors. For more information, contact Rocking Horse Publishing LLC via email here, or feel free to submit your book proposal to the submission address provided. Sweet Gum Press is a book publishing company which focuses on publishing authors from Missouri, particularly Crowley’s Ridge and the region surrounding Bootheel. Carrying three renowned editors, namely Baird A. Brock, a Professor Emeritus of Economics, Rosie Marie Kinder, author of “The Universe Playing Strings”, and Kristine Lowe-Martin, co-author of “Old-Time Fiddling: Hal Sappington, Missouri Fiddler”, the company is open ended regarding its fiction. While their collection spans numerous works in many different categories, Sweet Gum Press has favor for books which pertain to the beauty of Missouri, regional works and novels with a historical backing. Sweet Gum Press is open to submissions via email or conventional mail, find the full details here. A short description of your manuscript is requested, as well as the first fifteen pages. Bluebird Publishing was established by Dan Thompson in St. Louis and aims to empower authors through providing comprehensive publishing services and competitive service charges. With a full team of marketers, editorial staff, design talent and publishing powerhouses, Blue Bird carries numerous notable works. To gauge their preferred style, one had need just look at titles such as “Happiness is Seeing the Beatles” telling of ‘Beatlemania’ within St. Louis through many rare photos, stories and interviews. Another prime example of their preferred subject matter is “100 Things to do In & Around Historic St. Charles” by Ann Hazelwood. To make a submission or receive further information regarding their process, fill out their contact form, alternatively contact their team via email. Co-founded in 2003 by Josh Stevens and Matthew Heidenry, professionals from the museum publishing industry, Reedy Press is a large publishing house situated in St. Louis, Missouri. With hundreds of titles in their collection, Reedy Press seeks stories relating to nostalgia, sports, neighborhood tales and subjects of interest to the local Missouri community. From historical narratives to children’s books, Reedy Press is open to submissions across all genres. Great examples of their preferred publishing style can be found in “Secret St. Louis – A Guide to the Weird, Wonderful, and Obscure” by David Baugher, and “100 Things to Do in America Before You Die” by Bill Clevlen. View the ‘Local Interest’ page of Reedy Press to view more information regarding submissions, or contact Josh Stevens directly, via email. University of Missouri Press in Columbia is a non-fiction publisher who also branches out to creative non-fiction titles. Established in 1958 by writer and university English-department faculty member, William Peden, University of Missouri Press has been publishing works pertaining to American and world history, military subjects, intellectual studies, biographies, journalism, studies in African-American history, subjects pertaining to women’s studies, literary criticism spanning many categories, political sciences and regional studies, for many years. If you would like more information regarding their publishing process, please contact the university press via email, and visit their manuscript submission guidelines page. Eschol Publishing is a publishing company based in St. Clair, Missouri, holding a fixed focus on the publication of Christian fiction. Numerous genres are covered throughout their collection. Novels with Christ-centered content concerning romance, inspiration works, adventure, contemporary fiction, suspense, science fiction, urban fiction, mystery, pre-teen subject matter, apocalyptic undertones, speculative fiction, allegory and thrillers are all accepted. To get a feel for their style and strength of storylines, one can look towards Dagian Hill, Eschol’s first featured author. Her three-part Christian historical romance series entitled “The Wager” is a clear example of fiction which leads one towards a greater understanding of Christianity and a connection to God. Before submitting your proposal and manuscript, take a look at Eschol Publishing’s submission guidelines page. For more information, feel free to make contact via their contact us page. Inverted A Press is a publisher of fiction based in Licking, Missouri, and founded in 2011. Their leading author is World War II veteran John Wheatcroft, with his leading title “The Portrait of a Lover” telling the story of young love and the challenges that plague the heart and mind. His works serve as a great example of their style, with Wheatcroft even once serving as a juror for the Pulitzer Prize for Poetry. Another more recent example of their style is “Our Lady of Kaifeng” by Aya Katz, the second volume in her “Courtyard of the Happy Way” series. They openly accept submission proposals, and while Inverted A Press is currently carrying out maintenance on their website, one can submit a proposal via email. Liguori Publications is a book publishing company responsible for numerous notable works, including the renowned Ligourian Magazine. As a ministry of Redemptorist priests, Roman Catholic publications are considered, with no fiction, poetry, biographies, private revelations, illustrated books and works not core to Roman Catholicism being allowed. Ligouri is looking for manuscript submissions relating to meditation, liturgical readings, stories, reflections and discourses on the saints and their lives, words and works, as well as studies and guides on experiencing, receiving and ministering the sacraments. To get a better idea of their preference, one had need just look at the “Teach Us to Pray” series, and “130 Fun Facts From God’s Wonder-Filled World” by Bernadette McCarver Synder, with its wonderfully whimsical illustrations. To have your manuscript considered, take look at the Ligourian author guidelines supplied here. Miraclaire Publishing was founded in 2007 in Kansas City, Missouri. As a publisher who distributes books internationally, Miraclaire publishes both fiction and non-fiction. This includes, but is not limited to, short stories, novels, plays, biographies, historical works, manuscripts concerning religion, health studies and psychology. Prime examples of their most prominent published works include “The New African-Americans” by Oscar C. Labang, Ph.D., covering naming within a racialist context and the subjectivity affecting this process in politics, as well as “Woes of Womanhood: An African Experience” by Stella Nana-Fabu, a humble scientific discourse which analyses the necessity to eradicate poverty plaguing Cameroonian females. A full list of frequently asked questions is provided for authors on their site, while for more details of their submission process you can visit this manuscript submission page. 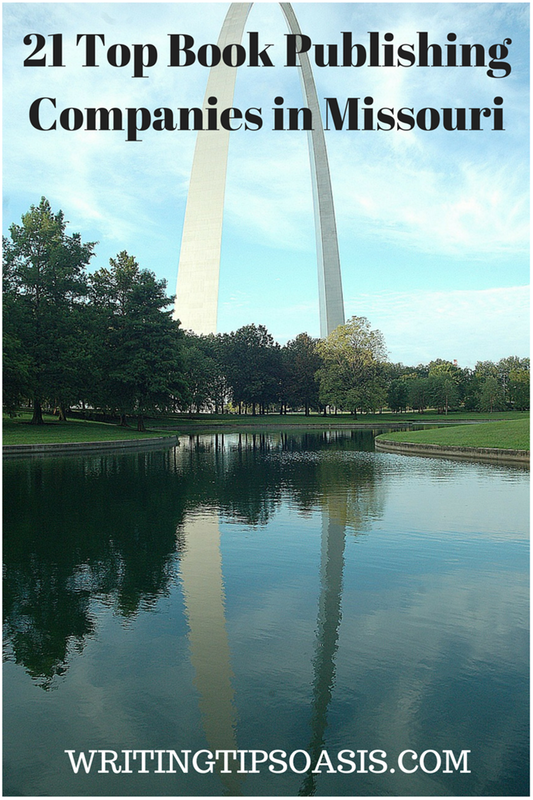 Dorothy, A Publishing Project is a small publishing company headquartered in St. Louis. Since being founded by Danielle Dutton an d Martin Riker in 2009, this publisher is known for its slender works of fiction which is written primarily by women. Numerous notable authors are included in their range. Great references to their authors are the National Book Award Longlisted Nell Zink, who spurred a great deal of interest with her debut novel “The Wallcreeper”, and winner of the Pushcart Prize for her story “If the Man Took”, Joanna Ruocco. While the publisher only typically publishes two books per year, they are open to submissions. View Dorothy, A Publishing Project’s about page for more submission information, or submit your manuscript via email. Rivendell Books is a St. Louis publisher which specializes in non-fiction works exploring the transcendent function, the core of Carl Jung’s individuation process of psychological growth. Their books cover the amalgamation of the conscious and unconscious using techniques involving creative imagination and visualization. Their signature book is entitled “A Different Kind of Sentinel” by Sir. E.H. Drury II, taking us through the psychological struggles of a serviceman’s battle of the mind following the killing of other humans. Electronic submissions are not welcomed, although books proposals by mail are. Full details regarding the information needed along-with your proposal are available on Rivendell Book’s guidelines page. Alternatively contact Rivendell via email. Whilst each publishing company will have their own specifications for proposal letters listed, it is essential to craft your proposal letter tactfully. The key to getting your book noticed is your proposal letter. Aside from perfect formatting, make sure that you do your research and find out the name of the agent or editor who you will be addressing. A personal letter carries far more merit than a general interaction. Make sure that you clearly indicate the value which your book will provide. Often referencing similar works published by your prospective publisher and the areas in which your manuscript fills any gaps, or capitalizes on the audience, is a good idea. Don’t forget to clearly indicate your genre, while including a to-the-point synopsis which highlights your plot, characters and story. Have you had a book published by one of the above book publishers in Missouri? Please share your experiences in the comments box below! 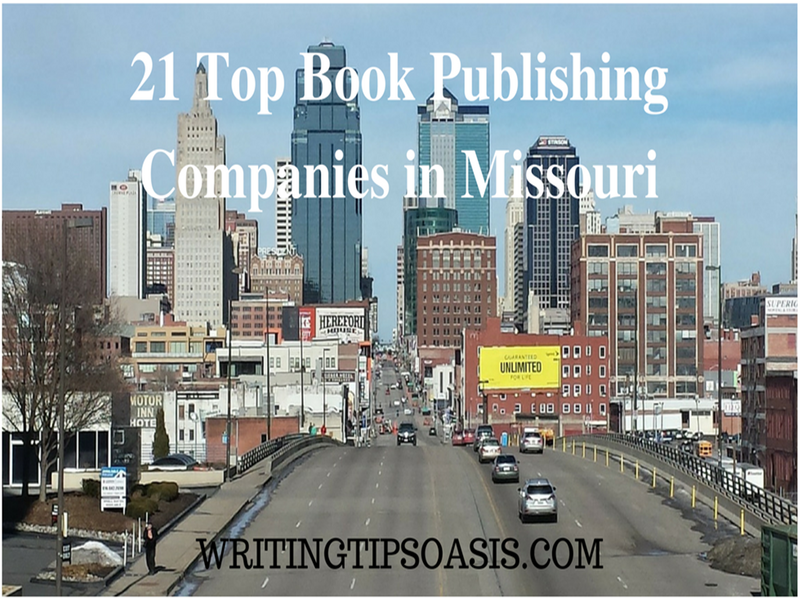 21 Top Book Publishing Companies in Missouri is an article from Writing Tips Oasis. I do what I love, following the path of the heart, and I love what I do, I write. I write with passion in every word, expressing what is right in the best words I can conjure. “Just write.” is my creed. Artist, wordsmith, story-teller and creator, expression is my joy, my fuel, the essence of self and my motivation for everything else.